Brigida Benitez solves challenging problems that stem from business disputes, employment relationships, and compliance matters. With a focus on complex litigation, internal investigations, and global anti-corruption issues, she has represented a wide range of clients, including financial institutions, pharmaceutical companies, information technology enterprises, universities, sports franchises, and international development firms. She litigates high-profile cases in federal and state trial and appellate courts throughout the United States, including the US Supreme Court. 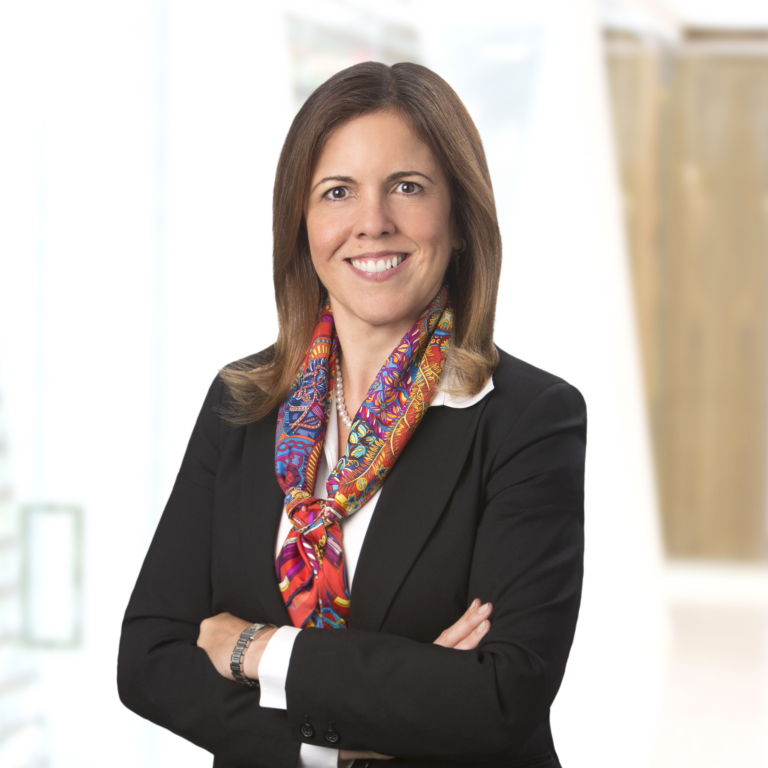 Brigida draws on 25 years of experience representing clients in high-stakes, complex litigation and arbitration matters, along with a deep understanding of the multijurisdictional investigative process, to help companies and individuals assess and mitigate reputational and litigation risk. Brigida conducts internal investigations and investigations before enforcement agencies relating to a variety of sensitive and business-critical issues, such as the Foreign Corrupt Practices Act (FCPA), financial fraud and corruption, employee misconduct, ethics, codes of conduct violations, accounting irregularities, whistleblower complaints, and sanctions procedures of the World Bank and other international financial institutions. Brigida served as Chief of the Office of Institutional Integrity of the Inter-American Development Bank (IDB), heading the independent office responsible for investigation potential fraud and corruption in IDB-financed activities, and implementing compliance policies and procedures relating to anti-corruption, anti-money laundering, offshore financial centers, and sanctions laws and regulations administered by the Office of Foreign Assets Control (OFAC). As a member of the senior management team, she reported to the IDB president and the Audit Committee of the Board of Executive Directors. She worked to develop the General Principles and Guidelines for Sanctions and oversaw the implementation of the Agreement for Mutual Enforcement of Debarment Decisions, entered into by the IDB, the World Bank, and several other leading international financial institutions. Her work encompassed 26 countries in Latin America and the Caribbean. Brigida is a past president of the DC Bar, the second largest unified bar in the country, with more than 100,000 members worldwide. She currently serves as an adjunct professor at Georgetown University Law Center, where she teaches a course on international business litigation and federal practice. She has been recognized by Hispanic Business magazine as a "Woman of the Year" and one of the "100 most influential US Hispanics," and by Latino Leaders magazine as one of the "25 Most Influential Hispanic Lawyers." Served as counsel for high-level former and current officials of the Internal Revenue Service sued in their individual capacity in four federal district court cases by various Tea Party groups alleging constitutional violations in connection with the processing of their applications for tax-exempt status. All four cases were resolved successfully on motions to dismiss. Served as counsel for ThinkFoodGroup, an entity co-founded by renowned chef José Andrés, in breach of contract case involving restaurant at Trump International Hotel in the Old Post Office in Washington, DC. Case resolved through settlement. Second-chaired argument on behalf of the University of Michigan before the US Supreme Court in two cases challenging the legality of its admissions policies, which resulted in a victory for diversity in higher education. Handled case for six years, from federal district court to US Supreme Court. Served as lead counsel for $120 million private equity fund in lawsuit involving claims of fraud, breach of contract, and breach of fiduciary duties. Successfully argued against application of arbitration agreement before North Carolina Supreme Court. Case resolved through favorable settlement. Served as counsel for audit firm in enforcement and debarment proceeding involving allegations of fraud before World Bank Sanctions Board. Served as counsel for international information technology company in highly complex and technical breach of contract dispute. Successfully arbitrated before a tribunal of the International Chamber of Commerce in Geneva, Switzerland. Served as counsel for leading development finance institution in arbitration involving allegations of government expropriation and claims for payment under insurance contract. Conducted all facets of hearing, including opening statement, closing argument and witness examinations. Obtained successful verdict before American Arbitration Association tribunal. Served as counsel for international development consulting firm in sanctions proceedings initiated by the World Bank’s Integrity Vice Presidency (INT), which investigated and charged the firm with corruption in connection with a World Bank-funded project. Sanctions and Debarment Officer of the World Bank recommended a six-year public debarment. Conducted investigation, advised client, and argued case to World Bank Sanctions Board, which dismissed case and terminated sanctions proceedings. This is a significant and rare victory, as the Sanctions Board has terminated proceedings against respondents in only four other cases since 2012. Conducted internal investigation for Mexican subsidiary of one of the largest banking institutions in the world regarding FCPA and related fraud issues. Led multiple teams conducting internal investigations of a multinational corporation’s operating companies in South America (i.e., Argentina, Brazil and Chile) involving alleged violations of the FCPA. Conducted internal investigation for international financial institution relating to employee misconduct and ethics issues. Conducted internal investigation for large research institution in connection with claims of employee misconduct. Conducted internal investigation for private equity fund involving claims of fraud and embezzlement against prior management. Conducted internal evaluation of admissions practices for large university and recommended revisions to existing policies. Has the International Olympic Committee Risen Above Corruption?